Shortly after dawn Saturday, Chloe Black will stake out her spot on the El Tour de Tucson course, set up some water and wait. Those lucky enough to stop by her makeshift station will receive prizes: Free reusable bottles from a year spent collecting them. At some point, Black may remind riders of a few tips and tricks. 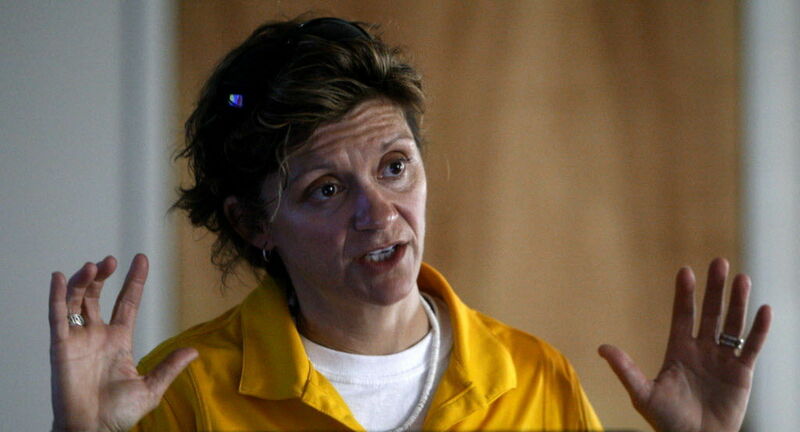 Few have her level of expertise: Black rode for the Canadian national cycling team from 1995-2000. Now 46, she teaches classes at The Core at La Encantada, a wellness center run by Tucson Medical Center. In a perfect convergence, Black has spent the last few months training riders for a race that her company sponsors. Trick No. 1: Prepare. Black urges her riders to prepare both physically and mentally for El Tour. It starts, she says, with an “ABC” check the night before or morning of the event. “ABC” stands for air, brakes and chains — three areas that could spell disaster if not monitored properly. Preparation isn’t just mechanical. Don’t eat new or strange foods for the first time when you’re racing, Black says, or break out brand-new gear during the event. “Don’t experiment on the big day,” she said. “With (water stations), if you’re passing one, go fill your bottle up and get more food. Eating a little bit all the time is easier on your system, and it’s less of a swing with your blood sugar. Trick No. 2: Be courteous. First-time riders have a tendency to focus solely on themselves, Black said. It’s like when you’re driving on a long-distance road trip and focus only on your front bumper. It’s tempting to focus on yourself, but, she says, successful riders are the ones who monitor the pack, pass others carefully and react quickly at the first sign of trouble. “A lot of people go out way too hard because of the adrenaline and the excitement of the start. They’re throwing safety issues to the wind,” she said. More than 6,000 riders have already registered for El Tour, and organizers are hoping to add another 1,000 over the next five days. That adds a lot of variables, especially since many riders might be first-timers. Cycling, like all sports, has unwritten rules — though these are more common-sense in nature. Trick No. 3: Have fun. Rides like El Tour can be so singular — and so challenging — that some participants lose track of the bigger picture. El Tour is billed as a community event; Black urges first-time riders to observe, learn and, most of all, enjoy.